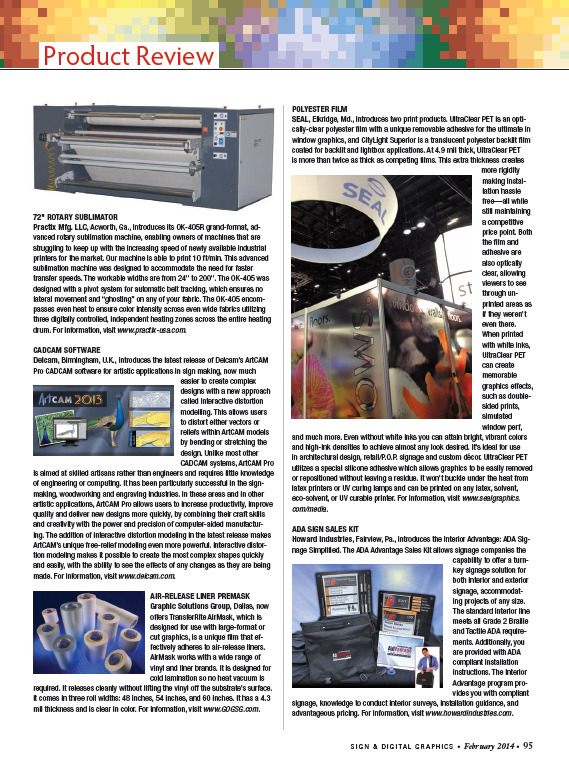 The NEW advanced sublimation machine, the OK-405R, was designed to accommodate the need for faster transfer speeds by our innovative engineers. The workable widths are from 24″ to 200″. 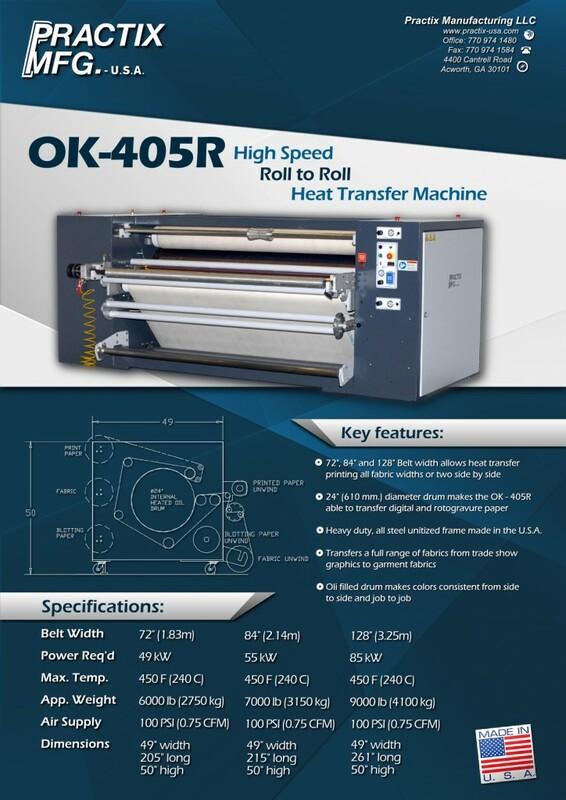 The OK-405R was designed with a pivot system for automatic belt tracking, which ensures no lateral movement and “ghosting” on any of your fabric. The OK-405R encompasses even heat to ensure color intensity across even wide fabrics utilizing an advanced technology, well engineered oil filled, steel encased heating drum. A heating assembly enclosed in a roller style drum. This allows minimum hot air to escape from inside the drum, maintaining the printing temperature. A torsion bar designed to ensure even pressure across the width of the belt, eliminating “bleeding” or “blow through” and allowing for a crisper, cleaner print. A printing drum mounted on heavy-duty 7.5-inch (190 mm) roller bearings on shafts for quieter, smoother drum rotation. Optional machine mounting for up to three unwinds with separate slipping clutches and three rewinds with adjustable brake allowing for the use of different sized rolls. Unwind and rewind stations operated by pneumatic clutches and brakes. As an added benefit, the OK-405R sublimation machine was ergonomically designed to reduce operator fatigue and boost productivity. The machine’s rewind and unwind stations were placed at a height that virtually eliminates the lifting of heavy rolls of per or fabric overhead. Furthermore, the input conveyor is low to the ground for even more convenience.